Today's mail brought a small but welcome package from Los Angeles, courtesy of the Philosophical Research Society, the educational nonprofit founded most of a century ago by the redoubtable Manly P. Hall. In the package were two copies of the recent reprint of the Tarot deck that Hall designed and his friend and favorite artist Augustus Knapp painted, and three pamphlets adapted from Hall's godzillions of lectures. 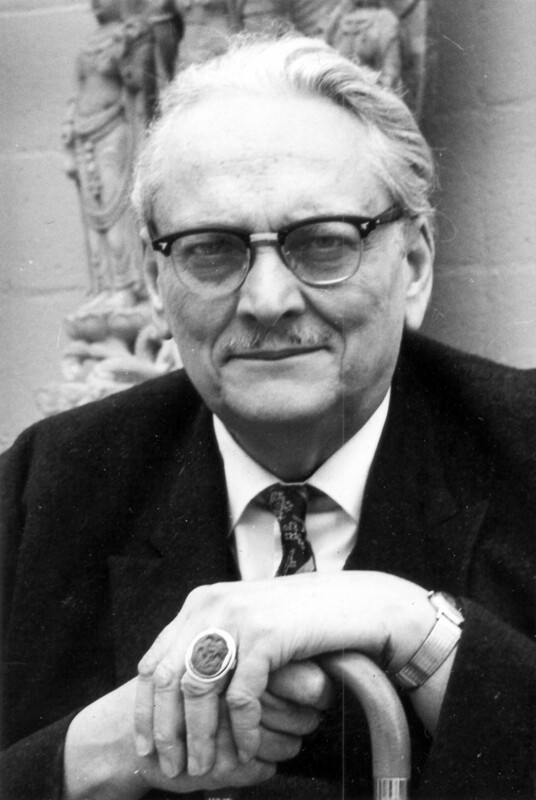 I never met Hall, which is a pity; our lives overlapped by some decades -- he died in 1990 -- and even in advanced old age, by all accounts, he was a brilliant speaker and a gifted teacher of occultism. It's a topic for a good brisk debate as to whether Hall or the equally redoubtable William Walker Atkinson (aka Yogi Ramacharaka, Theron Q. Dumont, and all three of the Three Initiates who wrote The Kybalion, for starters) was the most influential American occultist of the twentieth century, but The Manly One is certainly a robust contender. He combined an encyclopedic knowledge of Western occult tradition with something a lot of people talked about in his day but almost nobody actually had -- initiation into an Asian esoteric tradition. In his case it was Shingon Buddhism, one of the two Japanese esoteric sects -- think of Tibetan Buddhism with a Japanese accent and you won't be too far off. He knew a lot about Shingon, including the kinds of things that were very hard to learn at all back in the day if you were a white American guy; his writings on the two primary Shingon mandalas, the Kongokai (Diamond/Thunderbolt Assembly) and Taizokai (Womb Assembly), were as far as I know the most complete discussions of these in English until fairly recently. His most famous book, The Secret Teachings of All Ages, was a young man's book, brash and enthusiastic. The books of his I value the most come from later in his career: Self-Unfoldment Through Disciplines of Realization and Meditation Symbols in Eastern and Western Mysticism are among these. It was in these two books, more than anywhere else, that I caught the trail of bread crumbs he left. It used to be very common for occult teachers to hide their practical teachings in various ways, so that you could find them in their books if you worked at it but would skate right past them if you didn't. W.E. Butler, another occultist I studied eagerly in my youth, did this all the time -- for something like twenty years I read Butler's book The Magician: His Training and Work once every year or so, and every time kicked myself for having missed yet another round of obvious hints the time before! Most of what Butler had to teach has seen print, though, and that's not true of Hall. Hall had a method of meditation that, to my knowledge, he never put into print in any one place. Some of his mature books hint broadly at it, then veer away. That was why I ordered my copy of the tarot deck Hall designed. (Sara wanted hers because she trained as an art historian and has put many years into studying symbolic images.) The pamphlets were mostly for fun -- I enjoy Hall's writing, and even his lightweight stuff often has things well worth learning in them -- but the deck was serious. I have a copy of the older edition of the deck, and its LWB ("Little White Book") had a couple of crucial clues in it; the new edition is larger, better suited to meditative use...and the LWB has several more clues not found in the older version. My wife Sara was looking up Tarot decks online earlier this evening, with an eye toward helping a correspondent choose a suitable deck, and suddenly started laughing in that curious way that signals a certain amount of, well, existential dread. Or something. She had just encountered, for the first time, the Kilted Rubber Chicken Tarot. Yes, you read that correctly, and it's exactly what it sounds like: a tarot deck in which each card includes a rubber chicken wearing a Scottish kilt. I consider this an omen, and not especially a favorable one, but to explain it a few words about the history of the tarot in America might be in order. Back in the dawn of time, when dinosaurs stalked the earth -- we're talking the mid-1970s here -- you had your choice, if you were lucky, among four different tarot decks in the United States. You could get a badly colored knockoff of the Waite-Smith (aka Rider-Waite) deck; you could get the IJJ Swiss tarot; you could get the Marseilles tarot; and you could get a thing called the Tarot of the Witches, which was cooked up for a James Bond flick and got into circulation thereafter. That was it. It wasn't because there was some kind of embargo on tarot cards; it was because the demand was so low that this was all there was a market for. I recall with some fondness when a good clear reproduction of the Waite-Smith deck got into print -- I snapped one up -- and even more fondly the appearance of David Palladini's Aquarian tarot, which I used for many years. Then the floodgates opened, and tarot decks began piling up at an astonishing pace. There are now tens of thousands of decks in circulation, and one of them has rubber chickens in Scottish kilts. I have nothing against rubber chickens in kilts, but I suspect the great tarot boom that kicked off in my teen years may finally have jumped the shark. If you have favorite tarot decks that are on the exotic side -- say, anything other than the Waite-Smith or a few dozen others of the more popular decks -- you might want to pick up a second copy and stash it somewhere, as the decade or so to come may see a lot of decks drop permanently out of print. 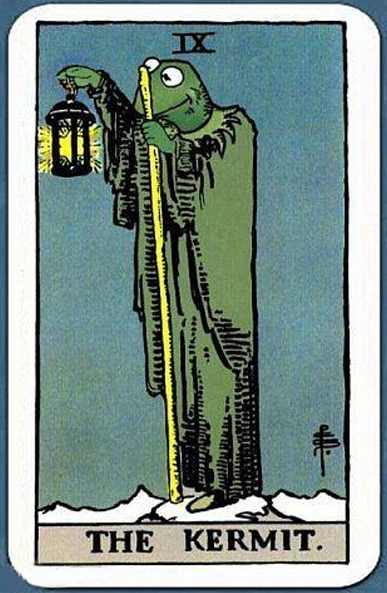 One of my commenters on the blog asked me a little while back for advice on learning how to read Tarot cards. It's a question I field fairly often, and it has a fairly straightforward answer. There are tens of thousands of books out there on the Tarot, and at least as many on other systems of what is technically known as sortilege -- the kind of divination that involves pulling one or more symbols out of a preexisting set (say, a Tarot deck, or a set of runes, or a set of Coelbren letters, or what have you). Sortilege isn't the only kind of divination out there, but it's far and away the most popular, and it's also easier to learn than most of the others. 1. Pick a Tarot deck (or what have you) that appeals to you. You'll get better results with a deck if you like the art and find the symbolism interesting to look at. 2. Go through it slowly, card by card, looking at every image. Then read the LWB ("little white booklet") that comes with it. 3. Every day thereafter, take one of the cards -- do them in order so you get every card -- and just look at it for some minutes. Notice how the imagery makes you feel, what it reminds you of, what thoughts it wakens in you. Then read the section of the LWB on that card, and think about how the meanings listed there (both upright and reversed) relate to the imagery. Then look at the card for another minute or so before putting it away. This is Part One of your daily divination practice. 4. Part Two is to cast a simple reading every day. The one I recommend is three cards laid side by side. The first represents you; the second represents the situation; the third represents the outcome. Shuffle the cards, ask them "What do I need to understand about today's events?" and then shuffle them again, cut, and deal out three cards. Again, look at the cards, and see what reactions they awaken in you; then look up their meanings and think about those; then try to tell a very simple story in which the cards provide the plot and your life provides the characters and the setting. Write down your interpretation. Of course it's going to be wrong at first; don't worry about that. Just write it down, then shuffle the cards, put them away, and go do something else. 5. The next day, go back to your reading, compare it to the events of the day, and see if you can figure out what the cards were trying to tell you. This is Part Three of your daily divination practice. You probably won't figure it out at first, but give it time, and remember that the LWB is not a set of stone tablets handed down from On High. If you review your readings every day once the facts are in, you'll begin to figure out what the cards mean to you, which is after all what matters, and then you'll begin to interpret them better the first time. That's it. It's probably going to take you several months to get to the point that you understand what the cards are trying to say to you, but it's going to take you that long no matter what you do, so you might as well buckle down and do it. First, as noted above, the LWB is not a set of stone tablets handed down from On High. It's just one person's attempt to summarize what the cards tend to say to that one person. The single most common cause of failure in learning to divine, in my repeated experience, can be summed up in the words "But that's not what the LWB says!" The LWB is a springboard; if you cling to the springboard while trying to dive off it, you're going to end up going nowhere. The important thing is to try to figure out what the cards mean to you, and that need not have much at all in common with what they mean to someone else. When you cast a reading, let your intuition take over; when you try to figure out what the reading meant the next day, approach each card with the thought that it must refer to something you experienced, and pay attention to any connection that comes to mind, no matter how far-fetched. It may not turn out to be far-fetched at all. Second, nothing in any reading is as dire as you think it is. Again, nothing in any reading is as dire as you think it is. And one more time, NOTHING IN ANY READING IS AS DIRE AS YOU THINK IT IS. Seriously. Every beginning Tarot reader I've ever met, myself included, started out reading each card in its most over-the-top sense, and learned through experience (and more than occasional embarrassment) to tone things down to the point that they make sense. OMG, here's the card named Death! (It means that something's going to change in a way that doesn't permit going back to the previous state.) OMG, here's the Ten of Swords! (It means that something is over and done with.) OMG, here's -- well, you get the picture. Over-the-top Tarot reading is a reliable source of drama for those who enjoy being emotionally overwrought, but I can't think of any other use for it, and it reliably yields inaccurate readings. So there you have it. The daily practice of divination is one of the three foundations of occult training as I understand it and teach it -- the other two being the daily practice of a basic banishing ritual, and the daily practice of discursive meditation. Five minutes of ritual, fifteen minutes of meditation, and ten minutes casting and interpreting a reading -- that's just half an hour a day, and it will open portal after portal for you.